In 2014, the American Board of Internal Medicine Foundation conducted a survey to determine physician views on the overuse of medical services in the US. Almost 75% of the responding physicians indicated that frequency of use of unnecessary tests and procedures is a significant problem. With 72% of physicians believing the average medical doctor prescribes an unnecessary test or procedure at least once a week, the survey also highlights that greater than 50% of the overutilization of the unnecessary testing is probably being performed at the urging of the patient. The program is ongoing and calls upon medical specialty societies and other organizations to identify tests and procedures commonly used with questionable necessity. 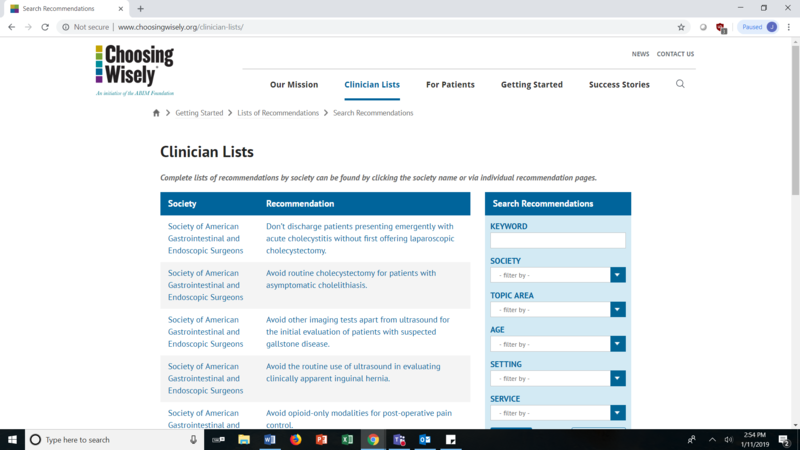 Since 2012, over 70 medical specialty societies have published greater than 400 recommendations. 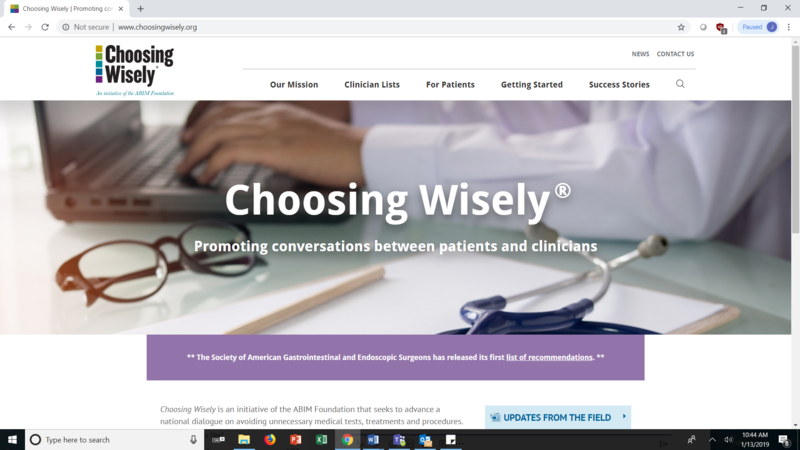 The website can be found at www.choosingwisely.org. This is a picture of the opening page of the website. As you can see it has links to information helpful for both clinicians and patients. Below is the screen shot from of the opening page of clinician information. As you can see, the material can be filtered by specialty society, topic area etc. 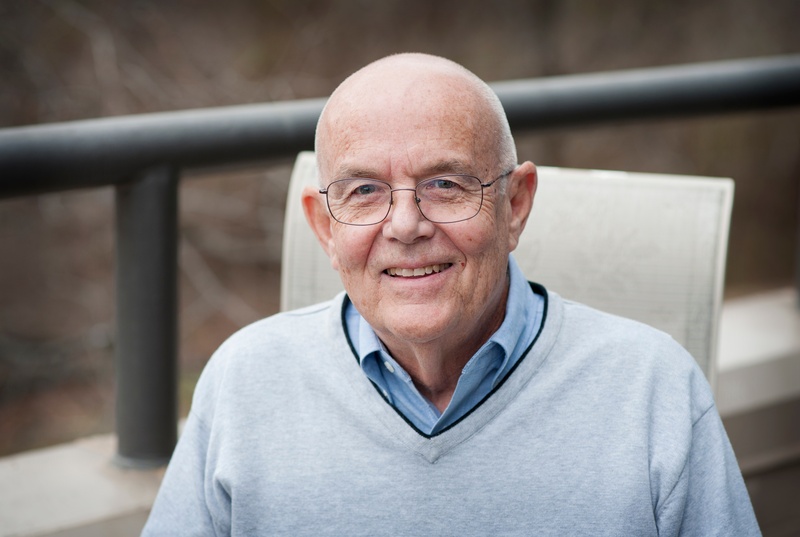 The American Society for Clinical Pathology has been active in this endeavor and thus far has provided information on 25 different laboratory tests whose use can be called into question. In future blogs and presentations, I will discuss some of the tests they have identified as being questionable. I urge you to look at this web site. It could provide helpful information to assist in your practice and in patient discussions. Also, don't forget to stay connected and join our Quality Lab Group on LinkedIn!